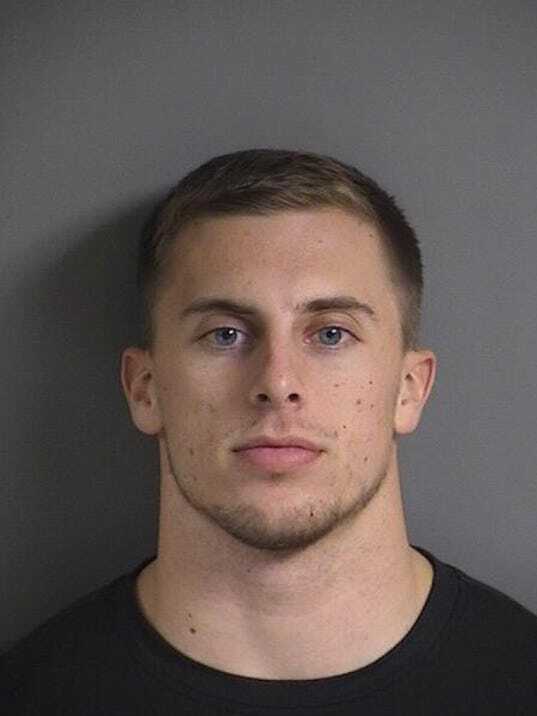 A University of Iowa football player has pleaded guilty to driving drunk in early December, court records show. Brandon Paul Snyder, 22, pleaded guilty Thursday to operating while intoxicated-first offense, a serious misdemeanor, after he was pulled over on the morning of Dec. 10 in Iowa City, according to court documents. As part of a plea deal, prosecutors agreed the safety could avoid their recommended two days in jail if he participated in the Kirkwood Community College OWI Weekend Program. He may also be fined $1,250. Snyder was pulled over in a gray 2017 Dodge Challenger at about 3 a.m. Dec. 10 at Melrose Avenue and Hawkins Drive, near Kinnick Stadium, police said. He had bloodshot, watery eyes, dilated pupils, eyelid tremors, impaired speech and smelled of alcohol, according to a criminal complaint. Police said Snyder admitted he had been drinking. He was wearing multiple wristbands and failed a breathalyzer test, authorities said. He was booked into the Johnson County jail and released less than seven hours later. A breathalyzer test later showed Snyder’s blood alcohol content was .163 percent, more than twice the legal limit. In a previous statement, head football coach Kirk Ferentz said the athletic department was “very disappointed to learn of Brandon’s involvement.” An athletic department spokesman said Monday that Snyder remains on the team. Snyder, a starter at free safety throughout his sophomore season in 2016, tore his left knee ACL for the first time during spring practices and underwent surgery in April. The 214-pound, 6-foot-1 junior returned to the field for the Hawkeyes less than six months later, when he played almost the entire game in Iowa’s 45-16 victory over Illinois in October and returned an 89-yard interception for a touchdown. It was also during that game that Snyder re-injured his ACL, sidelining him for the season. He was expected to undergo a second surgery and be eligible to return to the field by June. Snyder was the Hawkeyes’ third-leading tackler in 2016, with 85 stops. He led the team with three forced fumbles and also tied for the team lead in interceptions with three and fumble recoveries with two in his first season as a starting free safety. He was the only junior on the Hawkeyes’ leadership team this season despite his injury.